Figure 4-5.Position for standing abdominal thrust. The abdominal thrust makes use of the air reserve in the lungs. It is also highly effective in removing water from the lungs of near drowning victims. 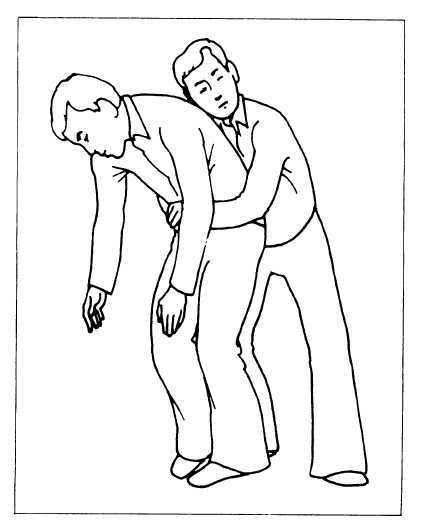 ABDOMINAL THRUST STANDING TECHNIQUE. Stand behind the victim and wrap your arms around the victims waist, as illustrated in figure 4-5. Make a fist with one hand and place it thumbside against the abdomen along the midline and slightly above the navel. Grasp the fist with the other hand (see figure 4-6). Give four quick upward thrusts to the victim. The obstruction should pop out like a champagne cork. 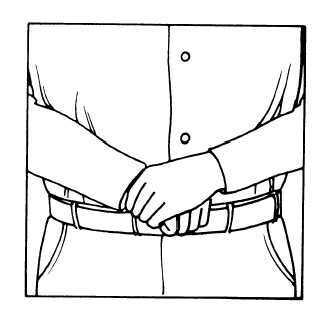 Figure 4-6.Correct hand position for abdominal thrust.